In today’s competitive business environment, marketing products is getting more difficult. If we talk about selling merchant cash advances, you already know how challenging the marketing process can be. Due to the beneficial features associated with cash advances and the strict eligibility requirements imposed by traditional banks, this alternative funding is increasingly gaining popularity among business owners. ACH is one of the payment methods preferred by many businesses these days. It is a merchant cash advance transaction that can be repaid directly daily via ACH bank debits. According to a recent perceptions study, “In research and the analysis of supplier activity in the areas of invoicing, payment and remittance, credit and collections, it was noted that 83% of respondents currently receive customer payment in the form of paper checks, 71% receive payment via Automated Clearing House (ACH) and 52% receive payment via Credit/P-Card. Alternatively, when asked which payment method they preferred, 63% of those same respondents chose ACH while 25% selected paper checks.” This study clearly depicts how ACH is preferred over other payment methods. It has been observed that an MCA provider is still facing difficulty in finding prospects. Fortunately, high-targeted lists such as ACH leads exist that help you recognize your target prospects, so that you can market your products efficiently. When it comes to planning an ACH marketing campaign to sell business loans, having access to quality ACH leads turns out to be an optimal solution. A recent study conducted by market observers shows that “there is a big opportunity in the merchant cash advance industry. Only 10% of a market potentially worth $5 billion to $10 billion has been considered so far by advance providers. There is a big space for penetrating it further.” If you are working in the merchant cash industry, you understand that the time is right to launch a marketing campaign and target prospects successfully. ACH leads are records containing important information about a business including contact details, business name, etc. With this information, an MCA provider will have a better understanding of who their target customers are and how to launch a marketing campaign to convince them to buy loans. Usually, the companies listed on the ACH leads lists are new to the industry and struggling to place themselves in the market. Setting up a business needs funding, and due to a low credit rating, the banks often deny funding to many small businesses. So they look for alternative financing such as merchant cash advances and as a result are the right prospects for you. 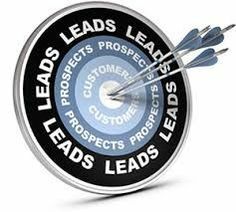 At Merchant Financing Leads, we are one of the trusted lead generation services providing fresh, qualified ACH leads to help you know your target customers. Using our qualified ACH leads, you can strategize a perfect marketing plan that allows you to pitch your business loans to the right prospects. So, if you want an increase in your merchant cash advance sales, get our quality ACH leads today and experience the difference.